Sungrow Inverter Review. MC Electrical have been the sole Sungrow inverter warranty agent in Brisbane and the South-East since 2012, we know this inverter inside out. This is why we have added sungrow to our Solar power system prices. But it was not until recently that we started installing Sungrow inverters, with good reason. Niggling issues in previous models with their monitors, MC4 connections, the Sungrow WiFi dongle, and noisy fans rocked my confidence in this otherwise well-designed Chinese inverter. Happily, the new Sungrow Crystal inverter has overcome these issues and from my perspective, Sungrow has become the leading Chinese inverter manufacturer. Sungrow’s recent ground-breaking addition to their line-up is the Sungrow SH 5K Hybrid Inverter. The true battery ready inverter is both affordable and early to market. At this stage, it is without a serious ‘single-phase string’ comparison. Designed to work with LG Chem battery, the Sungrow Hybrid inverter is an impressive robust bit of gear. After Checking it out at all energy week in Melbourne on October 2015, MC Electrical have decided it is time to jump on board with storage. I install it in our office as an operational display in October 2015. Since October 2015, we’ve run the LG Chem Battery through some rigorous testing, played with it for staff training, and have used it to run our night time load. Drop by our office and you can see it in action, and check out our solar power system prices. Is price point important, but you still want quality? Take it from the SE Qld Sungrow Inverter Warranty Agent – hybrid or standard grid connect, this is the inverter for you. Q-Cell / Sungrow. Entry level, without compromising on installation and additional components. We’ve been installing Fronius inverters since August 2015 – and we are loving them. Fronius just does it better. It’s a big, heavy machine – built like Arnold Schwarzenegger – that’s the way they do it in Austria! Inbuilt DC isolator makes the installation neater, and arguably safer and more reliable. The current 10 year warranty promotion is the best in the industry. That’s why it is part of our solar power system prices. Why go Wifi with your Fronius Inverter? The Wifi connectivity means we can connect every home to Fronius’s monitoring platform “Solar.web”. Our customers can check on Fronius user-friendly Fronius phone-app or website exactly how their system is and has been performing. But you don’t have to be an expert, because the wonders of the world-wide-web means that when a customer calls us a year down the track with a query about their solar, we can tell them – with a few clicks of a mouse – exactly how their solar has been working – right down to every volt, amp, and watt at any given time of any day. What’s so smart about a smart meter? We push the features of the Fronius to the limits by encouraging our customers to purchase a Fronius Smart Meter. Don’t let the name scare you off, these little devices offer a powerful way of saving you money by automatically making best use of your solar. It also informs you of where all the power is going! Sound too complicated? It’s not. Fronius have done a great job at making it a user-friendly application and we will set it up for you so you are “making hay while the sun shines”. I’m lovin’ it – a great inverter to work with! The Fronius is a solar designers dream. It is incredibly flexible in its operational voltage, and generous in its power per tracker limitation. This just means we can always get the best out of whatever chopped up roof we come across. I recently met with a top-dog from the inverter giant SMA. For a long time, SMA could brag they had the best string inverter on Earth. As we spoke and compared SMA to Fronius today, he candidly admitted that “SMA are trying playing catch up” to Fronius. It doesn’t appear to be working. Fronius is leagues ahead as the best string inverter on the market, and that’s why it is part of our solar power system prices. Check out my “Fronius Inverter Review” on my blog for more information. We’ve been installing Fronius inverters since August 2015 – and we are loving them. Fronius just does it better. It’s a big, heavy machine – built like Arnold Schwarzenegger – that’s the way they do it in Austria! Inbuilt DC isolator makes the installation neater, and arguably safer and more reliable. The current 10 year warranty promotion is the best in the industry. This is why Fronius is key to our solar power Brisbane prices. I recently met with a top-dog from the inverter giant SMA. For a long time, SMA could brag they had the best string inverter on Earth. As we spoke and compared SMA to Fronius today, he candidly admitted that “SMA are trying playing catch up” to Fronius. It doesn’t appear to be working. Fronius is leagues ahead as the best string inverter on the market. MC Electrical are proud to be Tesla Authorised Resellers and Tesla Certified Installers. We have chosen Powerwall to be part of our Solar power system prices. If you are looking to store your excess solar power for use at night, Tesla Powerwall is the real deal. It’s a beautifully designed battery, but more importantly, it’s designed to last. The biggest issue with any battery is the heat that is caused on charge and discharge. The better the heat is managed in a battery, the longer the battery will last. At best, other solar storage batteries will use a fan to cool the batteries down. Tesla, on the other hand, use what they call “active cooling” and pump a liquid coolant around the cells that make up Powerwall. It is the active cooling that is the reason the warranty can be so generous. A full 10-year warranty with unlimited cycles. This warranty is not matched by any other battery in the industry. It’s shouldn’t come as a surprise that the Powerwall is so beautifully functional. The founder of Tesla, Elon Musk (amongst his many other achievements) is responsible for sending the first commercially funded vehicle to the international space station. Soon enough, his fully electric, auto-piloted, Tesla model 3 car will be commonplace on our streets. Mr Musk knows a thing or two about engineering for quality. The Powerwall 2 is an AC Coupled battery, meaning you don’t have to have a hybrid inverter. 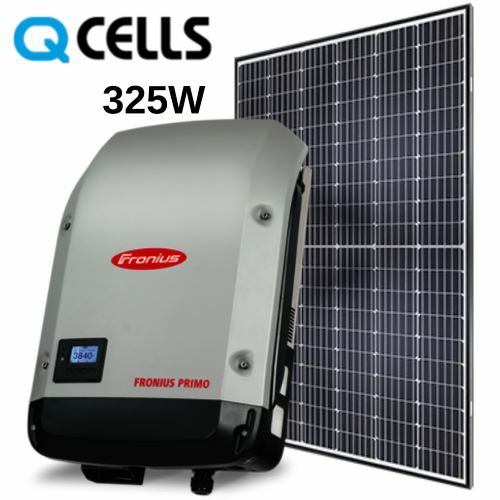 However, if you want the inverter to keep charging the battery during a blackout, you will need a quality recent model single phase inverter like the Fronius primo, SolarEdge. For more information, contact us via our Tesla PowerWall pricing page. Tesla Powerwall 2 Info out now!